What Does a Texas Ranger Do? The Texas Rangers have a mystique all their own. From watching roundhouse kicks by Chuck Norris on the television series "Walker, Texas Ranger" to reading about the adventures of Augustus McCrae and Woodrow Call in Larry McMurtry’s "Lonesome Dove" series, many people have grown up with a sense of awe over the Texas Rangers, and it's not unfounded. This is an elite group of law enforcement personnel. The Texas Rangers have morphed since their formation by Stephen F. Austin in 1823. They began as a small group who came together to protect their fellow colonists. Today’s Texas Rangers are a respected law enforcement unit that leads criminal investigations in major crimes, unsolved crimes, serial crimes, public corruption, officer-involved shootings, and border security. The Texas Rangers are a division within the Texas Department of Public Safety. Of the division’s 216 employees, 150 are commissioned peace officers. As of 2017, the average Ranger is about 44 years old. DPS does little recruit for Ranger positions. They often have more than 100 applicants compete for just a handful of vacancies. The primary function of the Texas Rangers is investigating crimes. All Rangers are involved in criminal investigation, no matter how high they climb in the hierarchy. Investigate various types of crimes that are entrusted to the Texas Rangers, because outside these specialties know virtually no limit. They involve violent crimes against persons such as murder and sexual assault or crimes related to property like theft and burglary. They step in when unidentified bodies are discovered. They investigate incidences of suspected organized crime. Rangers' duties can include more cerebral crimes as well, such as forgery and bank fraud, or misconduct on the part of public officials and threats made against them. They work to maintain order in Texas courtrooms. Rangers with the appropriate skills might act as sketch artists. The Texas Rangers are a small group and there are several levels within the organization, so it's difficult to pinpoint a single salary range for this position. However, Rangers are paid according to the Texas state trooper salary schedule for different levels of advancement, which provides a good guideline. DPS troopers make just under $60,000 annually during their probationary period and upon being commissioned. Beyond that time, troopers typically earn from $73,000 at the Trooper I level, up to $107,000 after 20 years of service. Sergeants and agents earn more than these base figures. Given the high level of experience required, many Rangers’ salaries far exceed these numbers. Standard benefits mirror those available to DPS troopers. The same minimum requirements that apply to become a trooper also apply to the Texas Rangers. Remember, those applying to become Rangers must be currently employed as DPS troopers. Education: Rangers have either 90 semester hours of college credits or three years of military or law enforcement experience. Individual Rangers have varying levels of education. Experience: Applicants for the Texas Rangers must also have a minimum of eight years' experience in law enforcement with an organization whose principal function is investigating crimes. Service as a military Texas Ranger officer does not count toward this requirement. Age and other characteristics: Ranger positions are only open to current DPS troopers who have achieved the rank of Trooper II. Applicants must hold a valid and unrestricted Texas driver’s license, be at least 20 years old, and be U.S. citizens. They're investigated through a comprehensive background check to ensure that they “reflect good moral character and habits,” according to the Texas Rangers website. Written exam: Ranger applicants must pass a written exam. Those with the highest scores progress to an Oral Interview Board, and final selections are made by the board. Training: Texas Rangers must attend a minimum of 40 hours of in-service training every 24 months. They can opt in for additional training as well, such as in the growing field of investigative hypnosis—helping witnesses to recall critical information while in a hypnotic state. Communication skills: Texas Rangers must be able to speak with people when gathering facts about a crime and to clearly present details about an incident in writing. Empathy: Texas Ranger officers need to understand the perspectives of a wide variety of people in their jurisdiction and have a willingness to help the public. Good judgment: Texas Rangers and detectives must be able to determine the best way to solve a wide array of problems quickly. Leadership skills: Texas Rangers must be comfortable with the public looking to them for assistance in emergency situations. Perceptiveness: Rangers must be able to anticipate a person’s reactions and understand why people act a certain way. Physical stamina: Rangers must be in good physical shape, both to pass required tests for entry into the field, and to keep up with the daily rigors of the job. Physical strength: Texas Ranger officers must be strong enough to physically apprehend offenders. According to the Texas Department of Public Safety (DPS) website, in any given year the program has only a few openings and hundreds of applicants. Although the Texas DPS site doesn't mention the job outlook, they are currently hiring. The Texas Rangers organization originated in 1823 and has been going strong ever since. 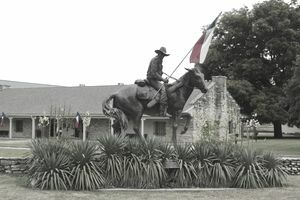 The Texas Rangers have six field offices located in Houston, Garland (Dallas-Fort Worth area), Lubbock, McAllen in the Rio Grande Valley, El Paso, and San Antonio. Additionally, several state programs operate under the supervision of the Texas Rangers and being assigned to any one of them might have you traveling all over the state. Ranger Reconnaissance teams (Riverine Operations) assist with border security. The Rangers also oversee cold case investigations with the Unsolved Crimes Investigation Program and assist the Governor's Protective Detail when the governor or other elected officials travel about the state. They effectively serve as bodyguards. Texas Rangers usually work full time. Paid overtime is common, and a good amount of shift work is necessary because the public must be protected around the clock. Navigate your online browser to the Texas Department of Public Safety's website, read the requirements, and complete your online application.